The history of DC's Showcase series is kind of an interesting study. It ran for a little over 100 issues starting in the 1950's and began innocuously enough, with issue #1 featuring the soon to be forgotten Fireman Farrell. The second issue wasn't much more inspiring with "Kings of the Wild" which I understand consisted of some animal stories. Frogmen were featured in #3 then someone with a stroke of genius gave editor Julius Schwartz the green light to use #4 as the launching pad for a revamped Flash, handily ushering in what later came to be known as the Silver Age of comics. Manhunters were the subject of issue #5 and then the world was introduced to the Challengers of the Unknown. From that point forward we saw appearances by Lois Lane, Space Ranger, Adam Strange, Rip Hunter, Green Lantern, the Sea Devils, Aquaman, the Atom, Metal Men Tommy Tomorrow, Cave Carson and many others. Many of these went on to their own titles and some were mercifully chloroformed. The various writers and editors seemed to be following something of a pattern, too. Generally speaking, a feature was given three to four showings before striking out on their own in a self-titled magazine. Among those mentioned above, the Flash and the Challs had 4 showings each, as did Rip Hunter and the Metal Men. Lois Lane only had two, but of course she was a known commodity. At the other end of the spectrum Tommy Tomorrow was in 5 issues, not to be seen again for quite some time. Adam Strange, Green Lantern, Aquaman, the Atom and the Sea Devils each had three issues to their credit, as did the character I'm going to spotlight for this review. The webmaster reminded me recently that two out of the three appearances had been done, so it's time for the third and final appearance under the Showcase banner of The Spectre. Our favorite Astral Avenger took on "The Ghost of Ace Chance!" in Showcase #64 from September/October of 1966. Credits for the story go to Golden and Silver Age stalwart Gardner Fox with outstanding and realistic artwork from the talented hand of Murphy Anderson. The action begins almost immediately when we're introduced to one Ace Chance. With a name like that, he could only be a gambler and we find him in his native habitat, aboard a gambling ship where he's trying his luck at the roulette wheel. His mind seems to be miles from the game, however, as he ponders his future, which will involve less time at the gaming tables, the hope for some luck to pay off a $10,000.00 gambling debt and supreme self-confidence that he'll successfully marry Mona Marcy, the world's wealthiest woman. I'll let Ace's thoughts speak for him in that regard: "Of course, as of this moment, Marcy doesn't even know me or my plans to be her future husband—but I'm handsome, smart and loaded with charm! How can I miss?" You forgot humble and modest there, Ace old boy. Unfortunately his looks and charm fail to woo lady luck and he loses everything that night at the tables. As he walks the waterfront of Gateway City, well after midnight, he is predictably jumped by a pair of Booth Cody's (his creditor) thugs, who knock the tuxedoed Chance silly. He manages a quick cry for help, which is heard by Captain of detectives Jim Corrigan, who is investigating the Marine Museum on a robbery tip. Responding to Ace's distress, Corrigan spots his unconscious body being carried onto a tank of liquid gas on a vessel. He isn't fast enough, though and Chance is dumped into the freezing liquid natural gas. 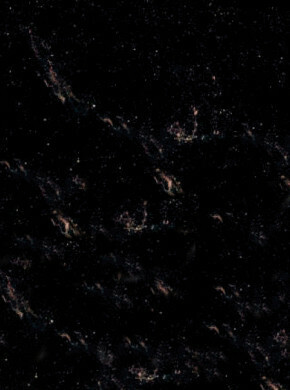 In the next surreal moments, a wraith like figure begins to form. The red-garbed shape realizes he is the deceased Ace Chance and that he's being drawn into a hereafter. Meanwhile, back on the deck of the ship, Jim Corrigan is knocking the hoods for a loop. While his host body is anxiously engaged, the famed Spectre emerges, following the prompting of his astral powers, which indicate a small spark of life left in Ace Chance. As he approaches the body, he is surprised to discover the spirit of Chance has already departed. 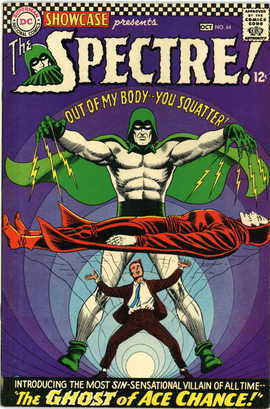 The Spectre enters in a last ditch effort to save him. This action complicates matters, though as the ghost of Ace Chance is abruptly drawn back toward his physical form. When he returns to his body, however, which is rising from the tank of liquid gas, he realizes he cannot enter as another spirit is already within it. The conflict created begins to tear the spirit of Ace apart and he knows he must soon find another host or be dissipated forever. He senses a port for this storm and enters the body of Jim Corrigan. Chance is initially puzzled, but then realizes this is where the Spectre belongs. How he knows this is unclear, but he quickly takes advantage of the situation and departs the scene rapidly, controlling Corrigan as his new identity. He now plans to court Mona Marcy as Jim Corrigan. A confused Spectre emerges from Ace Chance's body to see his alter ego leaving the crime scene. The disembodied detective delivers the two hoodlums to the authorities and then delivers Ace's body to the hospital. A while later, Corrigan's tip proves true as a group of thieves arrive at the Marine museum, intent on taking the jewels recovered from shipwrecks. As one criminal reaches for a pair of rubies, they begin to glow eerily, looking like a pair of eyes. In seconds the outline of a face appears and it wears a green hood. Then a green-gloved fist emerges, dispatching the first of the thieves in dramatic fashion. The Spectre knocks a second interloper out with some solidified smoke when the third thug starts to attack with an anchor from behind. Part One fades to a close. Part Two opens with the Spectre seemingly being cleaved in half by the anchor. As it happens, he divided himself, allowing the anchor to cleave nothing but thin air. I've got to admit, this confuses me. Isn't a spirit being like the Spectre safe from the physical world? Anyhow, not skipping a beat, the spirit sleuth rejoins himself and then fires a bolt of lightning at the anchor, taking out the last of the thieves, whom he delivers again to police HQ on charges of attempted robbery. All the activity has left our hero somewhat weakened and he decides he must get back to his host body soon to recharge. His rendezvous will have to wait, though, as he feels the tremors of a destructive earthquake. Swiftly the Spectre dives downward, below the surface of the Earth to relieve the pressures that are causing the quake. Incidentally, as he converts the pressure into some harmless team, Murphy Anderson manages a pretty impressive negative Spectre for that particular panel. To complete the job, the discarnate detective pushes rock faults back together and cements them with spectral energies at his command.&n bsp; Unfortunately, he's not yet out of the woods as he discovers upon his re-emergence on the surface. A huge tornado is menacing Gateway City. Enlarging his form to giant sized proportions, the Spectre lures the tornado in bullfighter fashion with his cape to a nearby open field where it cannot do any damage. Why a tornado would respond to a large green cape is beyond me. Must be some sort of astral influence that we mere mortals don't understand. No sooner is that threat put to bed than things get weirder. The trees nearby are suddenly animated and begin to wrap themselves around the weakening Spectre. Using an enlarged hand, he does a grand smack down, re ndering the trees so much firewood. He then flies back to the city to reconnect with his host body. He finds Corrigan at Police headquarters, but to his great shock, Jim is in the process of resigning. Confronting Corrigan, the Spectre is rebuffed and when he tries to enter his body, he finds there is no room at the inn. The Wonder Wraith sensed a strong barrier of sinister energy there, more powerful than he had a right to expect. He deduces that the spirit being inside Jim's body has drawn on evil energy to keep the Spectre out. As the disembodied detective flies off, he hatches a plan with the knowledge that good deeds and the unique good radiation that comes from them will be his best weapon. Soon our hero is on a global quest to absorb as much of this good radiation as possible to strengthen him for the coming showdown. He encounters Peace Corps workers serving in undeveloped nations, a religious service, a hospital and curiously, at least to me, the Vietnam war zone. Meanwhile, back at the ranch, Ace Chance is furiously courting Mona Marcy and is one the verge of proposing marriage when the newly fortified Spectre arrives; ready yet again to pit good against evil. Draw the curtain on Part Two. Part Three begins with a startling scene as the disembodied detective literally rips the ghost of Ace Chance from the body of Jim Corrigan with this strong rebuke: "Out of there—you squatter!" The battle is about to commence. Below the airborne assailants lies the prone body of Jim Corrigan and rows of buildings are shimmering into existence at the behest of Ace Chance, who boasts that he now possesses the knowledge of the ages. We learn that it is Gold Alley, mystic street of the alchemists of Prague and in the next oversized panel, a flock of Basilisks, winged, serpentine dragons, are ordered to destroy the Spectre. Before Chance can beat a hasty retreat, however, the elongated arm of the Wonder Wraith draws him back. He then deftly swings the wicked apparition, using the evil energy to beat the Basilisks senseless. Ace orders them away and the scene changes yet again f rom Gold Alley to the dread chapel of Secaire. We soon learn the significance of this place: "The chapel of Secaire—the site of black masses and demon worship in the past! Energies cluster about its fire-darkened walls, and even today, the members of certain secret cults still use those blasphemous ruins for modern mischief… If that isn't enough to give you pause, four dread figures in hooded robes appear, each bearing a weapon to attack our hero. They are described as an unholy sistrum, ritual lunar sword, Paracelsus' trident and the Great Ring of Gyges. The Spirit Sleuth is able to maintain enough of his wits during this onslaught to reach for the altar of sacrifice to use as a weapon of his own, count ering evil energy with evil energy. When the altar makes contact with these weapons, a huge burst of energy crackles in the atmosphere and nullifies the attackers. In a last desperate attempt to escape, the ghost of Ace Chance calls upon witches and warlocks to create a consuming fire flower to destroy the disembodied detective, but the Spectre, veteran of many battles with the forces of evil, quickly grows his form to skyscraper proportions and gathers clouds together, infusing them with the good energy he has absorbed to utterly wipe out the evil flames. The Spectre gives chase to the fleeing spirit, up into the edge of the atmosphere when a solar boat, looking slightly like the Ark of the Covenant appears to transport them to the gulfs between the stars where primeval demon gods dwell. Ace gloats that the doom of his adversary is certain at the hands, or claws, of Soraboru, a huge dragon creature once worshipped by Earth pagans. The ghostly guardian grapples with this new foe, but the series of victory over evil have strengthened our hero and he successfully defeats this creature as well, hurling it into the void at the edge of the galaxy. Triumphant, the disembodied detective drags the defeated ghost of Ace Chance back to Earth. Chance, meanwhile, is plotting to draw victory from the jaws of defeat. Soon the two wraiths slip into the hospital room where the body of Ace Chance lies. The doctor reports that he's made an amazing recovery. The Spectre then lifts the wicked spirit high in preparation of placing him back into his body. Ace, meanwhile, thinks to himself triumphantly that he is about to win. He's used the last of his energies to summon the body of Jim Corrigan to replace that of Chance a nd has inserted an illusion to make Corrigan appear to be Chance. Once he is back in Jim Corrigan's body, his powers will return and he'll destroy The Spectre. At the last possible moment, however, the disembodied detective leans forward and pulls the illusion off the body of Jim Corrigan. Howling with frustration, Chance demands to know how the Spectre knew of the trap. Our hero explains that the lamp beside the body betrayed the profile of Corrigan against the privacy screen. He then places Chance's spirit back into his body, ending the bizarre odyssey. In the final panel we join Jim and the Spectre at his home where Jim ponders how he's going to handle the situation with Mona Marcy. His alter ego merely replies: "You got yourself into that hole, Jim—so you'll have to dig your own way out of it!" One thing you can consistently count on with a Spectre tale is plenty of action in all manner of realms and the classic, cosmic battle of good vs. evil. This was similar to the two prior Showcase appearances by the Spirit Sleuth, though the ghost of Ace Chance wasn't quite in the same league as say, Azmodus. His feats were good enough, however, to merit his own magazine just over a year later and while it was for a relatively short duration, he remains the lone purely resurrected Golden Age hero to be given his own title. Green Lantern and Flash, of course, were modified. A satisfying read with tremendous artwork and a little bit of a tour through the history of the occult, I'll give this one an 8.